Welcome to 17th podcast. We have quite a show for you this week. Friendships were lost over this podcast. Blood was shed, tears flowed, and fights broke out. It got pretty nasty. Maybe it was because we had several glasses of alcohol, or maybe it was because it’s the holiday season, but whatever the reason, it was a lot of fun. As usual, we start our podcasts with a Top 3, and since it’s the holiday season, we are doing out ‘Top 3 Christmas Movies’. 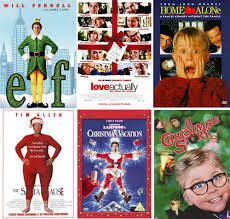 Now some of these you would have never thought of for Christmas movies, but they are. Enjoy the show. Podcast #56: ‘Pretty Woman’ Re-Cast, SXSW, ‘Fraggle Rock’! This entry was posted on Sunday, December 22nd, 2013 at 11:06 am	and is filed under Film, News, Podcast. You can follow any responses to this entry through the RSS 2.0 feed. You can skip to the end and leave a response. Pinging is currently not allowed. « Film Review: ‘The Wolf of Wall Street’!